2014, 2015, 2016 and now 2017! Sneak peek of the new calendar will arrive before Christmas! You can pre-order one and delivery will take place before Christmas. 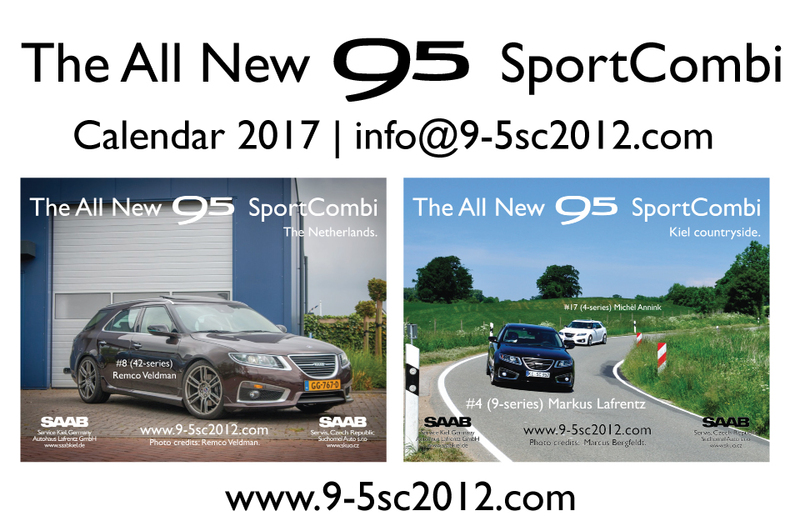 To order a calendar just send an e-mail to: info@9-5sc2012.com with your name and adress.You will receive an invoice via Paypal and can pay with any credit card. Please make payment ASAP to ensure your copy of the calendar. There are only 75 calendars for sale! [Update 2016-11-24, 70 sold!] Please note that the calendars will be shipped mid December so will arrive before Christmas. So please be patient with the delivery. If you like to buy the calendar as a Christmas gift ? No problem… just send us the gift receipt address. BONUS item! :)You will also receive the English Sportcombi brochure 2012. Very rare! Click here for pdf version. Big calendar! 28×37cm. The price is 229 KR SEK + shipping 56 KR SEK in Sweden, 98KR SEK Europe + USA. Sorry shipping is very expensive in Sweden. Order today: info@9-5sc2012.com ? Combitech’s sportcombi cars #47 and #01 are street legal so a big congratulations to Combitech and thank you for saving this cars and also congratulations to Autohaus Lafrentz who once again made this possible. (Combitech is a wholly owned subsidiary of defence and security group SAAB AB). 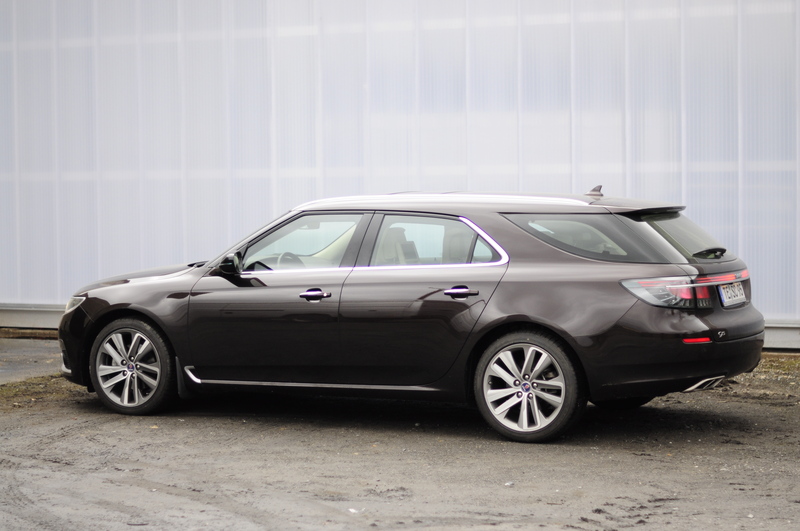 Yes we made it to this fantastic Saab 9-5 NG meeting. Welcome to Kiel, Germany and Autohaus Lafrentz Pilots wanted meeting 2016 in corporation with Saabblog.net On Friday there was a gathering at lunch and a dinner at the evening but unfortunately we missed that because of work only to arrive on Saturday morning for the Swedish breakfast and the 3 hour + road trip excursion around Kiel area.